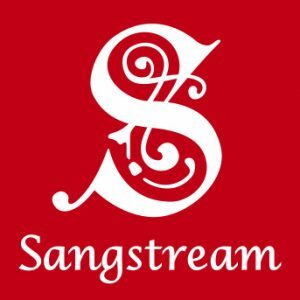 Sangstream has a membership of roughly 60. If you’re interested in joining us please fill out the form below and we’ll invite you to one of our Thursday evening rehearsal sessions.. If you’d then like to join the choir, you can sign up – or if we have no vacancies, we’ll add your details to our usually short waiting list for the future. There are no auditions to join Sangstream and you don’t need to be able to read music to sing with us – although we often have sheet music available, all our songs are learned by ear. The harmonies are generally added after we’ve learned the melody. Choir members can choose which section of the choir to join for any song. We have an up to date database of song words and recordings available online in the members area of our website, for current choir members to download. New members can join Sangstream at the start of a new term. Membership currently costs £44 (£24 concession) per term and is paid by Standing Order on a monthly basis over the whole year. If you’d like to apply, please complete the form below, and our Membership Secretary, will contact you. If you’d like to meet us and find out more, why not drop in to one of our informal sessions? Some of our members meet at the Captains Bar singing session once a month. These are generally on the third Saturday of the month, and are open to anyone to drop in. Details are on our Diary page. 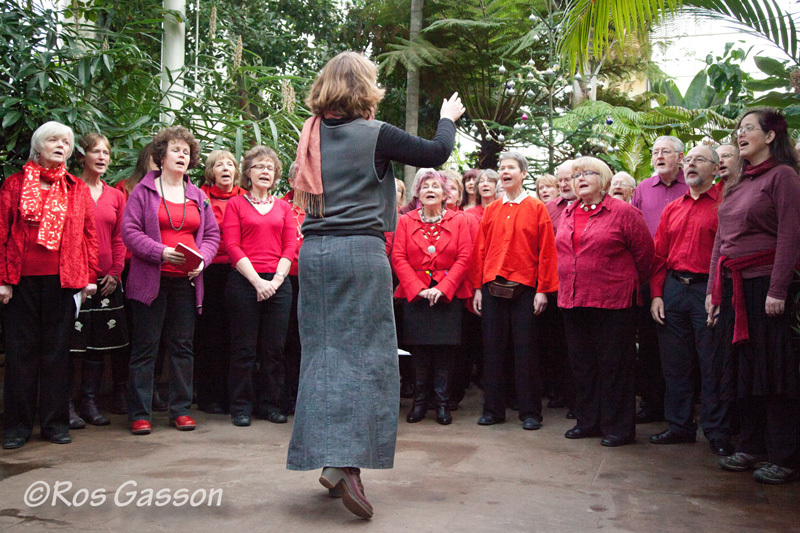 Sangstream performing at the Botanic Gardens, Edinburgh with Mairi Campbell. 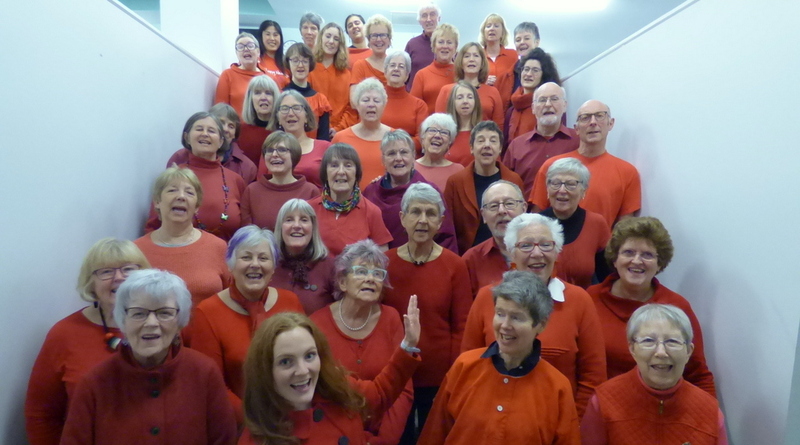 If you’d prefer not to wait to join Sangstream, or we’re too far away from you, have a look at this list of singing groups in Scotland, or Big Big Sing’s search page to find out about other choirs in your area. The Scots Music Group also runs a variety of day and evening singing classes in Edinburgh. We'll be at the Captain's Bar on Saturday 20th April from 3.30pm to 7pm for our monthly session. Come along to listen, or even better, join in!